As CEO of Queensland Gas (QGC) Richard Cottee can lay claim to being the father of the unconventional gas industry in Queensland. But even with all that gas there is a looming shortage on the Eastern Seaboard, which is where Cottee’s latest project, Central Petroleum, comes in. If we are going to develop a culture of progress and innovation, we believe it is important to celebrate those who have achieved, and learn the lessons they can teach us. Details: Drinks and savouries will be served from 5:30 pm. Please forward this on to friends and colleagues. If you are on Facebook you might want to like and share the event which you can find at https://www.facebook.com/events/824611834321525/. If we want a more innovative, robust, individualistic and forward looking society we need to celebrate those Australians who exemplify those virtues and make them fashionable again. Liberty at Risk: Tackling Today’s Political Problems is a compilation of twenty-three commentaries on current affairs from a libertarian perspective. It is a companion to Peter Fenwick’s previous work – The Fragility of Freedom: Why Subsidiarity Matters. Libertarianism is the political philosophy of individual liberty. It is based on the principle of private property and founded on natural rights theory as expounded by John Locke in the seventeenth century. The essential elements of the libertarian creed are self-ownership, private property, and the free market. In practice, this leads to a society of cooperation, tolerance and mutual respect; a preference for voluntary organisations; and a minimal role for the state. Wherever this ideology has been tried, mankind has flourished. Per capita incomes have risen multiple times; longevity has increased by many years; education has become universally available; women have been treated equally; there has been more time devoted to culture and the arts; and there has been noticeable increases in civility. Elsewhere, throughout history, only small ruling elites led the good life; the majority led a precarious and unpleasant existence. Unfortunately, over the past hundred years the social democratic welfare state has inhibited progress in the West, and now theocratic Islamists are creating mayhem in the Middle East. Our wonderful, free and prosperous society is being threatened by ideologies, from within and without, that compromise the reasons for its success. If we are to succeed in our battle with competing ideologies, then we need to acquire an appreciation of the legacy of our Western Civilization and be determined to live up to its ideals. Australia’s foremost conservative journalist is undoubtedly Andrew Bolt. Not only does he write multiple columns for Newscorp each week, but he maintains a punishing schedule of blog posts, as well as hosting a radio and television show. Andrew tackles issues that others are too afraid to mention. **Please note, the venue requires men wear a jacket and tie. Denim jeans are not acceptable. The event is $15 for AIP Members and $40 for non-members. Drinks will be provided. Henry Olsen will be joining us to speak on Trump, Brexit and the Forgotten People. He will explain how this constituency drove Donald Trump to become the Republican Party Presidential nominee, pushed Britain out of Europe and are disrupting the status quo around the globe. Henry is an elections analyst and political essayist who studies conservative politics in the US and abroad. He analyses election returns and poll data to understand why people vote the way they do and how conservative politicians and thinkers can best advance their ideas in the climate they face. For event enquiries please email Yonca Yilmaz atyyilmaz@cis.org.au or call (02) 9438 4377. For media enquiries please email Karla Pincott kpincott@cis.org.au or call (02) 9438 4377. Economic historian William Coleman will launch his newest book Only in Australia, a collection of essays by prominent Australian thinkers including Geoffrey Blainey, Henry Ergas, JR Nethercote, and Nick Cater. It explores the Australian difference and how Australia’s economic and social policy has diverged from the approach of other countries. The launch will be held at The Alliance Hotel. To book click here. Australia seems to be following a ‘special path’ of its own that it laid down more than a century ago. Australia’s distinctive bent is manifested in a tightly regulated labor market; a heavy reliance on means testing and income taxation; a geographical centralization of political power combined with its dispersal amongst autonomous authorities, and electoral singularities such as compulsory and preferential voting. This is book is a glimpse into the inner lives of psychiatrist Dr Tanveer Ahmed’s patients in the melting pot of outer Sydney and regional Australia. Through case studies and social observation, it is an account of the the modern condition viewed through the microcosm of the consulting room. Funny, insightful, heartbreaking and inspiring, this gripping book will entertain and challenge. 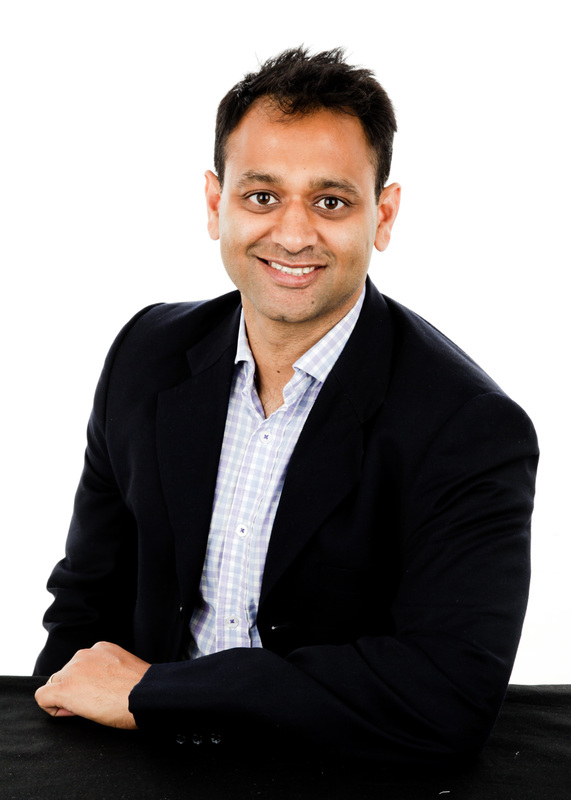 Dr Tanveer Ahmed is an Australian based psychiatrist and author who has involvement in the media and politics. He is an elected councillor at the City of Canada Bay. He appears in various media, most commonly regular contributions to Channel 7′s Weekend Sunrise and columns in the Spectator Australia. He has previously had regular columns in national newspapers, undertaken international news stories and co-hosted a prime-time game show. His migration memoir is titled The Exotic Rissole. He lives in Sydney with his wife and two daughters. See below for details. To book click here. Making Australia Right is a book of essays about what’s wrong with Australia and how to fix it written by people in a good position to know. It will be launched in Brisbane by the former editor of the Australian, Nick Cater. Other speakers will be Professor James Allan and Rebecca Weisser. Click here to book. What you have here are top people in their fields giving you something you will not find on the ABC, namely an outlook and an analysis that is something other than the bog-standard left-wing perspective that dominates so much of the airwaves, the newspaper columns, what you find on social media – and these days, alas, even what some Liberal MPs will voice inside the party room. James Allan, from the Introduction. Cost is $10 for AIP members and $20 for non-members and includes the first drink free. To book, click here. What you will find is a variety of treatments on some of the most important issues facing this country. The line-up for this book is as follows. Judith Sloan considers the economy; Brendan O’Neill tackles political correctness; Gary Johns writes on inequality; Jim Molan surveys defence; Roger Franklin goes more big picture and explains the causes for his anger at the Liberal Party; Rebecca Weisser examines the media in this country; Graeme Haycroft does the same with industrial relations; James Allan at the state of play in our universities; Kerryn Pholi writes on Aboriginal Australia; Jeremy Sammut discusses health; Lorraine Finlay takes on law-making; Peter Kurti delves into religion and the new sectarianism; Steve Kates scrutinizes interest rate policy; and Alan Moran finishes the collection off by looking at energy policy. So fourteen chapters in all, and each one approached in a different way. What you have here are top people in their fields giving you something you will not find on the ABC, namely an outlook and an analysis that is something other than the bog-standard left-wing perspective that dominates so much of the airwaves, the newspaper columns, what you find on social media – and these days, alas, even what some Liberal MPs will voice inside the party room. Mining and the Transformation of Australia tells a story that must be told and celebrated. This book puts the lie to the claim that mining is a sunset industry that is holding Australia back and celebrates it in all its complexity and success. Initially the bedrock on which Australia was built, mining went into a cultural decline until the 60s when it resurged. David Lee is a renowned historian of modern Australia, and his book will be launched by Hon Ian Macfarlane, former Federal Resources Minister, and now CEO of the Queensland Resources Council. Click here to book. 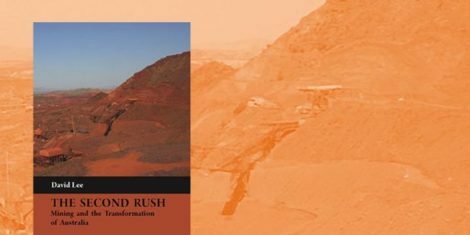 The Second Rush began unexpectedly from the 1960s with the development of new export industries, the most prominent being coal, iron ore and bauxite. The mining boom turned Australia’s chronic balance of payments around; substantially influenced Australia’s turn to Asia; and underpinned the era of optimism and nationalism of the late 1960s and 1970s. 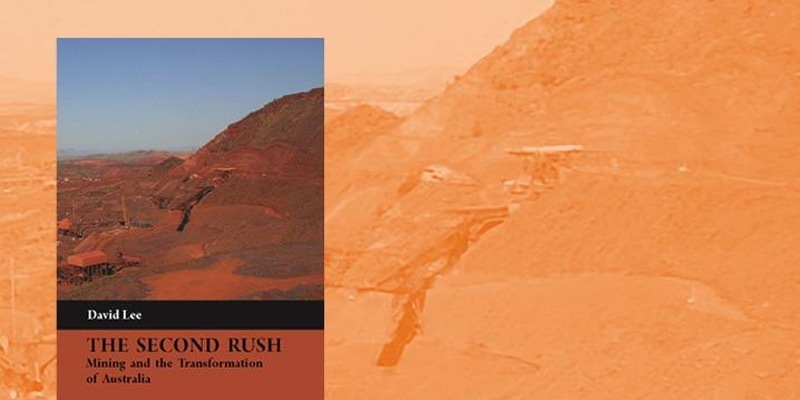 The Second Rush continued through the “resources boom” of the late 1970s and 1980s. At the turn of the new century, few saw any great future for mining after the harder times of the 1980s and 1990s, but then Australia embarked on its greatest boom – the China resources boom from 2002 to 2012. Join the Australian Institute for Progress over dinner for the third annual Sir Thomas McIlwraith Lecture, with guest speaker Jamie Pherous, a Queensland entrepreneur who has grown his business, Corporate Travel Management, from a staff of two into a $2.5 billion business in only 23 years. The Sir Thomas McIlwraith Lecture is an annual lecture to celebrate contributions to Queensland’s growth that show initiative and individual enterprise. It is named after an early premier of Queensland who was responsible for a number of nation building projects such as railways and ports. 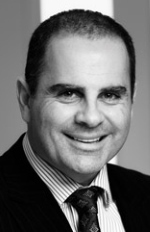 Jamie Pherous started business life as a chartered accountant, leaving Arthur Anderson to open Corporate Travel Management in 1994. His first client was Queensland Coal. In his first year of operations he booked just $16 million of travel in 2001. The figure in 2016 was $3.587 billion. Growth has been organic and by acquisition, and stunning. Ticket price is $185 inc GST per person inclusive of 3 course dinner and beverages. Tables of 10 are available for purchase at $1650 inc GST (10 seats for cost of 9). AIP members are $165 as well. To book please click here.